T.I. will be reprising his role as Rashad in the sequel to 2006's ATL. The ATL-bred artist revealed the news by sharing two filtered photos from the set of the film via Instagram. 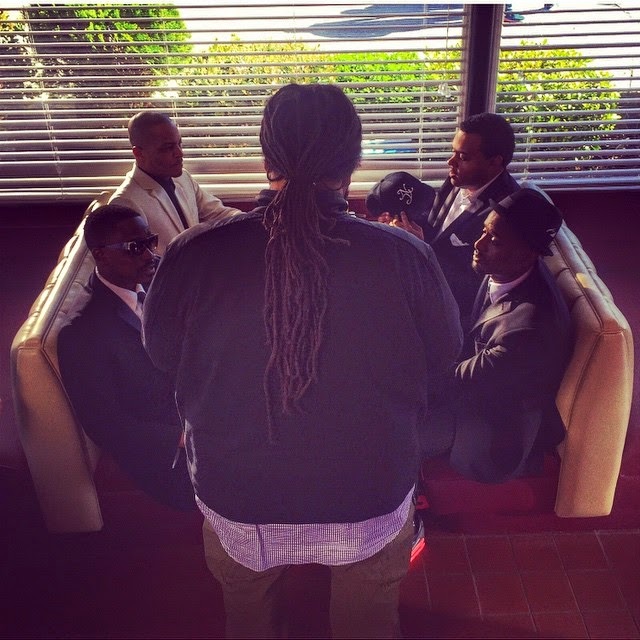 In the first picture, Tip and castmates Jackie Long, Albert Daniels and Jason Weaver appear to be taking direction from the movie's director, Chris Robinson. Posting the same photo on his personal page, Robinson spoke highly of the film's follow-up, adding, "#ATL WAS A CLASSIC #ATL2 WILL BE LEGENDARY!!! 'AND SO IT BEGINS' THE CREW @troubleman31 @jackielong @itsjasonweaver #RITF #BONG." It has been nearly a decade since the film was released in '06. The movie served as T.I. 's first foray into acting. The original film is loosely based on the lives and experiences of the film's producers, Dallas Austin and TLC member Tionne "T-Boz" Watkins, growing up in Atlanta. It debuted at number three at the box office in 2006, grossing $11.5 million in its opening weekend.